Why does baking feel so incredibly satisfying and nourishing to the mind and the soul? I get excited finding and planning my next cooking project, buying the ingredients and then carving out the time to play! I wrote about Mihaly Csikszentmihalyi and his studies about being in what he calls “flow”. Being engrossed in an activity that causes time to disappear, our problems and worries to melt away and we are no longer aware of our surrounding other than as they related to what we are doing. Being engaged in an activity that both challenges us and rewards us, an activity that gives us a sense of accomplishment and improvement, this is his definition of happiness. Given this definition, then baking, cooking, creating something from scratch, is so wonderfully important to me because it makes me happy! Could there be any better reason?! Making these kiflice, which are Serbian bread rolls, brought back so many childhood memories, they made me feel closer to my Serbian dad who is in rehabilitation after suffering a heart attack and a stroke and they helped me feel closer to my heritage and my family! Amazing that these little golden bread rolls could do so much! I saw them when they were featured on FoodPress by Things We Make and followed their link to Maja from Cooks and Bakes who posted her recipe in Serbian and English! They wouldn’t leave my thoughts and I knew I had my next baking project! I made them with feta and they turned out magnificent! 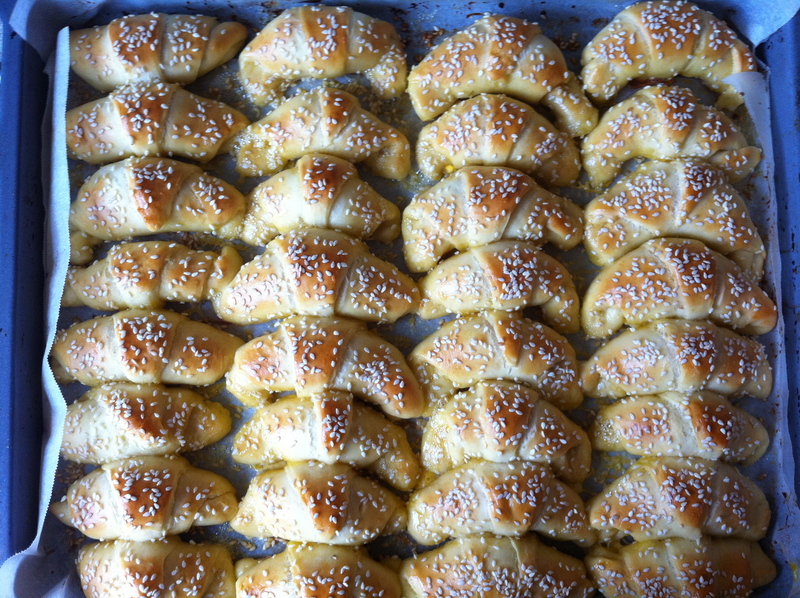 These little cheese rolls brought happiness not just to me but also my dad! I’m already planning my next batch with fried leeks and goat’s cheese feta! As the quote from Geoffrey Rush says, I hope you find that special something which makes your life interesting and in turn find your soul! Tags: baking, bread, bread rolls, family, feta, food, happiness, musings, my life, personal, recipes, soul food, thoughts, tradition | Permalink. Thanks! You have a great site, enjoyed your style! 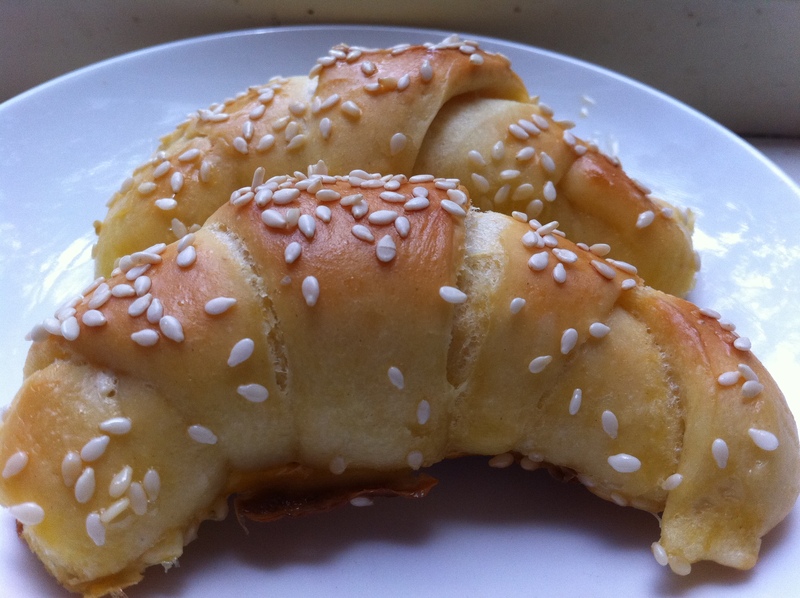 So glad you spotted the recipe on our blog and made the Kiflice. I think baking is a great way to ‘lose yourself’ yet produce something useful and lovely. I don’t get that so much with cooking, but baking is a great pastime. Can’t thank you enough for sharing the recipe! I’m the same, baking excites me in an entirely different way to cooking.